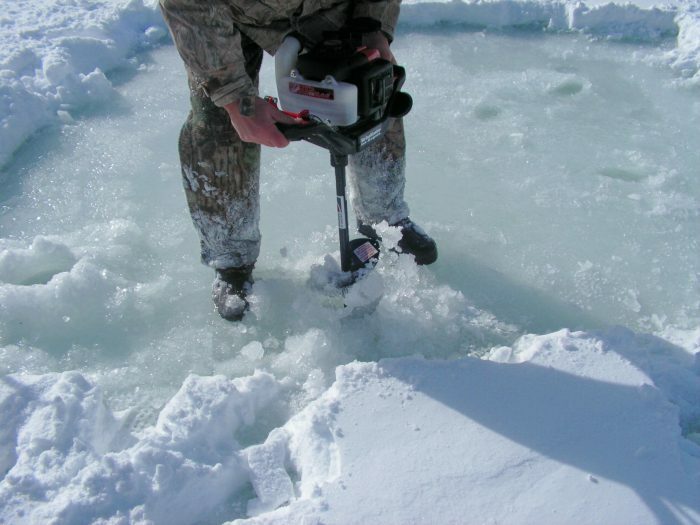 Cutting a hole in the ice is a first step to success. If you can’t find the water, you will not find the fish. Back in the day, many of us Old Fart Icemen used a heavy Spud Bar or an axe to chop a hole in the ice. The hole wasn’t pretty, but it worked. Icemen have many options for cutting holes today. Hand augers work well if you have some decent biceps or a young muscular fishing buddy. The advantage is their lightness and portability. The disadvantage is that they take a while to cut a hole. If the ice is thick, you will be at a disadvantage for moving around. Gas Power augers work great but are a tad bulky and heavy. Safety is a n issue. I have seen more than one ice man rip off a shirt in the turning auger. Pay attention to a sharp blade and proper fuel. Carry a spare plug and understand your tool. Know where the on and off button is. Propane augers are the rave, but ca be hard to run in severe cold. Battery Powered augers are amazing. The torque is amazing. These systems are more lightweight and cut ice like butter. For around $250 you can get a great hole system that will fit most shop battery drills. Put the drill on low, keep the batteries warm, and cut holes at will. Keep your hole clean of ice chunks. Use an ice ladle or kitchen utensil. Don’t tell your wife that you borrowed the tea strainer, slotted serving spoons, or Pampered Chef holed spoon. Whatever strainer you select, add a float to it so that it will not slide down a hole when your Buddy tosses it to you. Keep your hole clean! Sharp edges and burrs will cut your line when you least expect it. A smooth edge comes from a sharp auger. Clear the slush and ice away from your hole. Pile it up wind of your hole to serve as a wind break for any blowing snow. 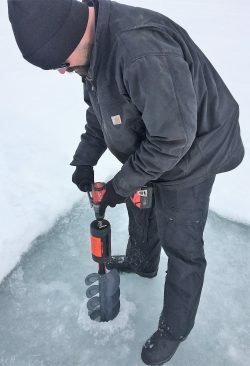 I don’t know about you but when I am on a cold lake, I do not want to waste time cutting holes. 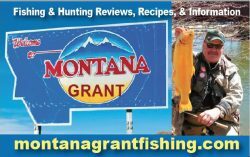 Select a tool that meets your needs and spend more time rippin lips than cussing over cutting a hole with an auger that will not start.